The Nintendo Switch has caused quite a stir as the first unequivocally “good” Nintendo thing to be released for a while. With the supply of consoles lasting about as long as your mom during a marathon, it seems like Nintendo may be back on the map. Now, I don’t want to rain on anyone’s parade, but there’s a few good things and a few bad things to discuss about this “innovative” release. It seems as though Nintendo forgot about that word recently, as it seems everything they’ve created is a clone of something else. Everyone is calling the Switch “what the WiiU should have been”. I’m inclined to agree, since the console elevator pitch probably had a few people face-palming. So it’s a game console that hooks up to your T.V. and plays at a moderate graphical setting, but you can switch over to a tablet that has funky controller layout and a touchscreen. Didn’t we just release that? Didn’t that thing try to kill us through ritual starvation? To give the Switch some credit, though, it’s got a decent weight to it, and it certainly feels less like a “Child’s First Tablet” than the WiiU. The T.V. mode works alright, although I found there to be strange freezes occurring during quite a few games, like Shovel Knight developed a small case of the alcoholism. There also seems to be a performance drop in some games, notably the new Zelda. This is apparently the new trend with consoles now: add more powerful settings, only to add too much extra graphical stuff to keep the performance the same. Normally, I wouldn’t mind that, but when the games are already running at a slightly unstable 30 frames per second, perhaps you should focus on the performance rather than the overall graphical fidelity. This performance drop doesn’t seem to happen on the portable mode, though, so that’s a plus. The tablet mode is incredibly accessible, and I enjoy the size of the screen as opposed to a large monster. It’s a little bit bigger than the “New 3DS XL MTV SD OMG”, but the extra space does lead to a small weight problem when using the controllers. The Joy-Con controller has this odd problem of being simultaneously smaller than the Xbox Controller I’m used to and more unwieldy. It’s not a bad experience to use them, and I do like the vibration (I really can feel those ice cubes…), but I feel awkward when I try to reach some of the buttons. Similar to the WiiU, the buttons feel weird being on either side of the screen, and it’s just wide enough to make extended play periods a little uncomfortable. 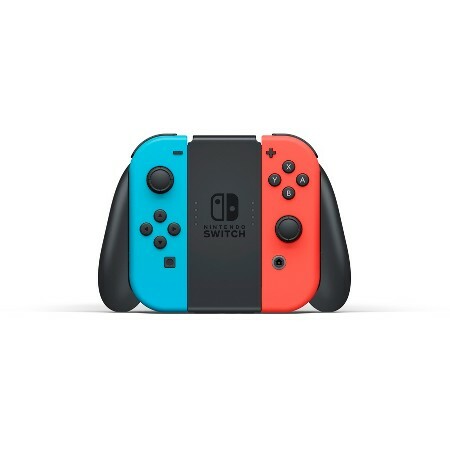 It was very smart to allow one set of Joy-Cons to function as two controllers, so if you accidentally shrunk your kids, they would have a miniature controller to use. I don’t mind the controller when they’re connected to the framework that turns it into a dysfunctional regular controller, though. Now, some people will stop me and say “but Chris, that’s what the Pro controller is for, if you don’t like the Joy-Con stuff, pick up one of those”. Problem with that argument is the same argument I had when the Wii didn’t come with a standard controller in the box. If having a generic controller improves the accessibility that much, was the innovative move really worth it? Moving off of the controller for a bit, I’ve heard a few people complain about the battery life. So far, I feel like it’s the perfect amount of time. If you’re playing for around three hours or so, it may be best to give the thing a rest. If you’re at home, you might as well dock it, and if you’re on the road, you can always keep charging and playing for the duration of the trip. We’ve moved out of the age where there are no wall/car sockets, and the move to USB-C cable has made it very easy on people trying to have multiple charging methods. So, this review of a console might lead you to believe I’m not a fan. You may think I’m a Sony/Microsoft fanboy looking to dish out some smack-talk. But I can tell you this console feels good. It feels like something I would use for a long time. This is the perfect fusion of a portable system and a home console. It’s not as powerful as a PC or the other consoles on the market right now, but it’s got a full system that’s perfectly adequate for travelling and chilling. 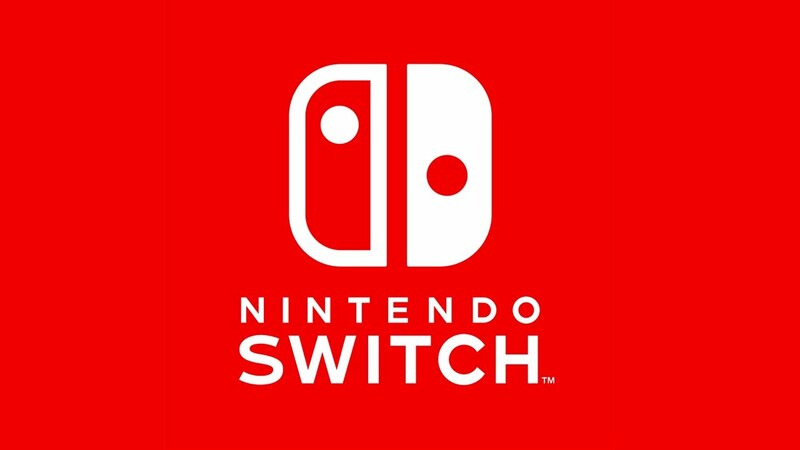 Stay tuned for the rest of the week, as I’ll be going over a few more aspects of the Nintendo Switch, from the marketing, to the supply/demand problem, and to a few of the games (notably, that game…).